In the past. . .home to the tragically destroyed Great Exhibition, a solitary thirteen-year-old boy meets his next-door neighbor, a recently widowed young teacher hoping to make a new start in the tight-knit South London community. Drawn together by loneliness, the unlikely pair forms a deep connection that ends in a shattering act of betrayal. In the present. . .On a cold January morning in London, Detective Inspector Gemma James is back on the job while her husband, Detective Superintendent Duncan Kincaid, is at home caring for their three-year-old foster daughter. Assigned to lead a Murder Investigation Team in South London, she's assisted by her trusted colleague, newly promoted Detective Sergeant Melody Talbot. Their first case: a crime scene at a seedy hotel in Crystal Palace. The victim: a well-respected barrister, found naked, trussed, and apparently strangled. Is it an unsavory accident or murder? In either case, he was not alone, and Gemma's team must find his companion—a search that takes them into unexpected corners and forces them to contemplate unsettling truths about the weaknesses and passions that lead to murder. Ultimately, they will question everything they think they know about their world and those they trust most. Deborah Crombie is a native Texan who has lived in both England and Scotland. She lives in McKinney, Texas, sharing a house that is more than one hundred years old with her husband, three cats, and two German shepherds. 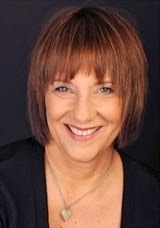 Visit Deborah at her website, connect with her on Facebook, and follow her on Twitter. This book started kind of slow for me, but picked up in the middle and really caught my attention. 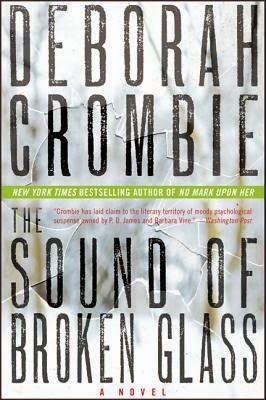 Ms. Crombie has a very good writing style that flows really well and that made the book very easy to read. I also liked the information at the beginning of each chapter that told about the Crystal Palace that used to be in London. I would really like to visit London, and Ms. Crombie gave me a very good glimpse of London. This is my first Duncan Kincaid and Gemma James Mystery, but it won't be my last. This book was filled with other characters that hopefully will be revisited again. This was a great mystery, because it kept me guessing till the end. I really want to visit these characters again and be a spectator as they solve crimes. This book left off with a cliffhanger and I can't wait to find out what happens. Great job. The author has agreed to give away one copy of The Sound of Broken Glass per blog. Just leave your name and email address so you can be contacted if you are randomly chosen as the winner. I will pick a winner on April first. Good luck. Thanks so much for sharing your thoughts about this mystery with us. It's a long-running series so glad to hear it is still a good choice for readers! Congrats on the new release. My mother, sister and I all read Deborah's mysteries.